When it comes to football (soccer), there are a few great tournaments that attract most of the betting action with the high level of play provided by the best teams in the world. With the World Cup aside, the UEFA Champions League is the most prestigious tournament in the world and only 16 teams remain in the running for the trophy. Amongst these teams are some that have made it an annual thing to make it past the group stages of the Premier League and the defending champions are the most likely to win in 2014. Bayern Munich has 5/2 odds to repeat its great performance of last season and once again lift the trophy as the whole world will tune in for the event. The Champions League final is the planet’s favorite sporting club contest and over 300 million viewers are expected to watch it. 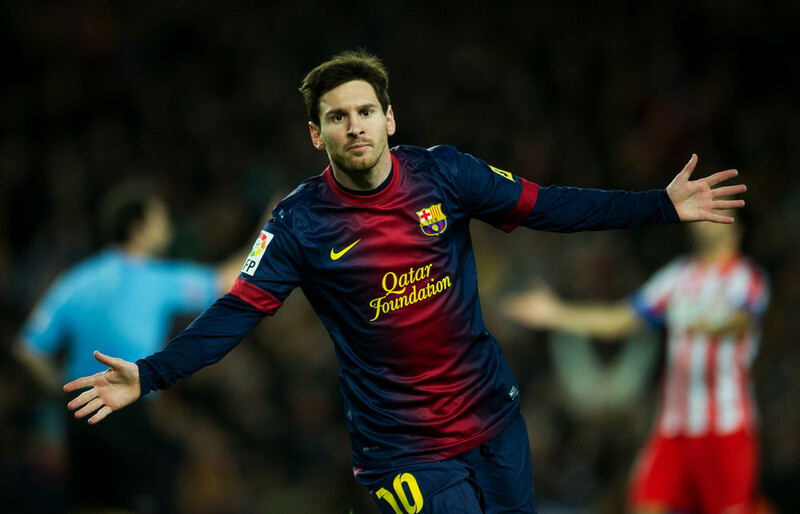 The Spanish giants are not far behind Munich as Lionel Messi is expected to lead Barcelona to victory, with bookmakers giving the team 9/2 odds to reclaim the title and become once again the most dominant football club in the world. Real Madrid, with Cristiano Ronaldo at its peak, had no issues during the group stages and should continue through the early matches of the knock-out stage just as easily. Now being at 5/1 to win the title gives them a great shot in the tournament. With the English Premier League being a great practice for the EUFA Champions League, Manchester City is the top English club in the remaining 16 teams, with 12/1 odds to go all the way. Coming off a win against Bayern just a few days ago certainly gives the blue side of Manchester plenty of reasons to feel confident in the Champions League, especially if we consider that they were two goals behind and came back in spectacular fashion. Last season finalist Borussia Dortmund struggled during the group stages and barely made it to the final 16 with a late goal against Marseille to claim the needed win and advance on goal difference. There are some clear differences between the Dortmund this season and the one that made the finals with ease last season. The team can still pull together and claim the title, with bookmakers giving them 12/1 odds to do so. Lower down the list, three teams are tied at 14/1 as Chelsea, PSG and Atletico Madrid have all had some difficulties this season and are quite unlikely to make it deep in the knock-out stages. After Arsenal and Manchester United at 16/1, the line takes a significant drop to 40/1 for AC Milan – the only Italian club remaining the Champions League. The odds drop even more as Bayer Leverkusen is now at 100/1 odds to win the title, followed by Schalke 04, Galatasaray and Zenit St. Petesburg, which are all tied at 150/1. The clear underdog of the season is Olympiakos with 400/1 odds. The German Bundesliga is very well represented and so is the Premier League, as both of them have four clubs still in the running for UEFA Champions League trophy. The draw to determine the opponents will take place on Monday morning.